As seasoned EU project participants Professor Valsami-Jones and Dr. Lynch have been kind enough to share some of their knowledge. Many thanks to them for providing a list of the do’s and don’ts for EU projects. Devote as much time and energy to getting the implementation and impact sections strong as to the science, as good science alone is not sufficient. Dedicated impact partners are necessary, especially in academic-led consortia! Include the right partners for the tasks – everyone can do a bit of everything, but try to really focus partners to their strengths and track-records. 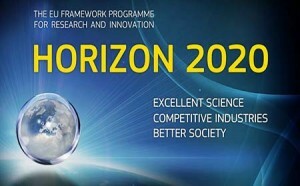 Ask a colleague or friend with experience of FP7/H2020 to read it for you prior to submission. Check the validation of the Part A early, and upload drafts of the Part B as you go so that at least something is there! Always involve industry, it’s increasingly expected and important, but also gives your consortium valuable aspects of applied research. Keep partners numbers under control; avoid having too many, but ensure all necessary roles are covered. Leave submission to the last minute, as the system changes frequently (H2020 portal quite different from FP7) so trying to do the validation and submissions while stressed is not ideal. Note the Part A forms work best in Internet Explorer and are not optimised for Firefox! Don’t try to squeeze in a topic that doesn’t fit the call text – you are wasting your time! There will be more than enough excellent projects exactly fitting the topic that will be funded! Don’t assume that impact and implementation are not important – check the weightings and assign how much space/time to allocate to each accordingly. Don’t be afraid to consult with National Contact Points, H2020 offices at partner organisations, or even the project officers who are running projects in this topic area to ask for guidance. Don’t leave out large sections of the call text unless you can provide a very good justification for this, and demonstrate clearly how you proposal addresses the rest of the call text fully and appropriately. Don’t include partners just because they are good/old friends/collaborators in previous successful proposals; ensure they have relevant expertise and fit well within the call you are responding to. Don’t include more than one team member with the same role, even if it’s hard to chose between them. 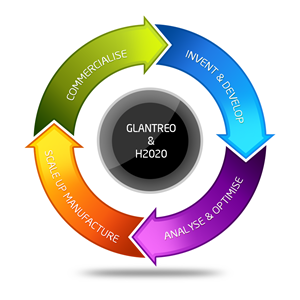 Glantreo & Horizon 2020 Click here to see what our approach for Horizon 2020 is and why partner with us.